The Indo-Soviet treaty in 1971 marked a first decisive break with the policy non-alignment which was espoused by Jawaharlal Nehru. The bitter experience of Indo-Chinese war 1962 compelled India to have technology transfer agreements with the Russians MiG 21 in 1963 was our footprint in license agreement. This was followed up by similar license agreements for tanks, frigates and submarines. However, 1971 was a watershed year, when Mrs. Indira Gandhi after dismembering Pakistan of East Pakistan finally decided to have a long term strategic defence partnership with the USSR. During 1980-1991 there have been sporadic purchases from other countries like the UK (Jaguar) and France (Mirage). 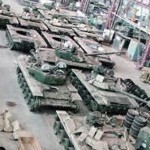 Almost 80 percent of our defence inventory are their origin to USSR/Russia. The year 2001 has been a game changer for the private sector in defence segment in India when the policy was liberalised to allow 100 percent participation for the private sector and 26 percent foreign equity by foreign players. The equity limit has since been increased to 49 percent. An offset policy has also been introduced in 2005 to leverage India’s big ticket acquisitions, to gain technology, foreign direct investment and orders from OEMs. The experience so far has not been edifying in regard to self reliance quotient as for critical military systems our dependence on imports is around 70 percent. The decision to buy 36 aircrafts from Rafale, instead of a Make-in-India arrangement where HAL would have been the recipient of technology, is creating ripples of discontent in the public mind. The latest deal of the Indian government with the Russian President, Vladimir Putin for acquiring S-400 anti aircraft weapon systems is being perceived both as a game changer to protect the Indian cities from potential missile attack by Pakistan and China. There is also a perception that it will deflect the swirling criticism that shrouds the Rafale deal. There are apprehensions that the $ 5.4 billion purchase is going to attract US sanctions under Countering America’s Adversaries Through Sanctions Act (CAATSA). Similar threats were being bandied earlier when India decided to have a joint venture for the Kamov aircrafts. The present purchase is an extremely welcome development, the seeds of which were shown on 15th October, 2016 when an Inter Government Agreement (IGA) was signed during the BRICS Summit between India and Russia. The present deal is a confirmation of the IGA, which has been hanging fire for quite some time. 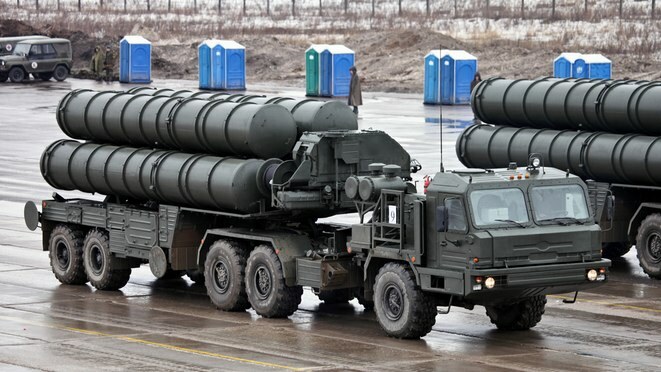 It may be recalled that in response to Pakistan deployment of M-11 missiles from China, the Indian government bought six battalion of S-300 missile from the Russians in 1995. Subsequently the DRDO also launched an air defence programme to protect Delhi and Bombay from potential ballistic missile attach from Pakistan. As per Dr. V.K. Saraswat who is father of the Prithvi missile, the Prithvi Air Defence (PAD) missile was successfully tested in 2017 for high altitude interception. But the altitude would be limited to 80 kms. S-400 is a different kettle of fish, which has been developed by Russians Almaz Central Marine Design Bureau as an upgrade to S-300 family which India has already procured. It has been in service since 2007 with the Russian Armed forces and can cover ranges varying between 40 kms to 400 kms. It can attack 80 targets simultaneously with 160 guided missiles. Regular S-400 battalion would consist of 8 launchers with 32 missiles and a mobile command post. These missiles should be available to India by 2020. Interestingly, S-400 have been purchased by China in March 2014. It has also been deployed in Syria by Russia to protect it missile assets. Turkey has also bought these missiles, warranting a blockade of delivery of F-35 aircrafts by the USA. Russia with these defence deals with Turkey, Syria, China and lately India, has established a strategic control over Asia, upsetting the military edge USA ab-initio had by virtue of its alliance with Pakistan. Even a NATO partner like Turkey has gone out of its strategic partnership with USA, since such strategic missile defence shield are critical for their country. The Economist calls S-400 “as one of the best air defence system currently made”. This is largely because of the huge investment Russia has made in designing and development of weapon systems. It may be recalled that India signed a contract for Design, Development and Production of a Fifth Generation Fighter Aircraft (Stealth aircraft) in the year 2011. This would have been a game changer for India, even against potentially strong adversaries like China which does not have a Stealth aircraft. India also signed another D&D contract for a Multi-Role Transport Aircraft (MRTA) with Russia in 2011. The MRTA deal is as good as dead India has instead opted to buy C-130J transport aircraft from USA at an exorbitant cost. It is equally tragic that due to a lack of proper synergy between the two countries the most ambitious design development programme for building a Fifth Generation Stealth Aircraft has also been put under wraps. Instead, the dubious nature of the Rafale aircraft purchase is being debated. Unfortunately this huge S-400 deal does not have an offset commitment from the Russians. This would have provided India with a benefit of about $1.8 billion which would have bolstered technological and designed capability of India and long term investment partnership between Russia and India. SIPRI (2017) has brought out how India is the biggest importer of conventional arms globally. The following table will bring out the details. This dubious record is being consistently maintained for the last two decades. Rafale, S-400, C-130J are indicative of this trend. The Dhirendra Singh Committee had called upon the Ministry of Defene to have strategic partnership between OEMs and design houses with major private players in the defence sector and India’s Public Sector Undertakings (PSUs). The offset policy was tweaked to provide for ‘multipliers’ for getting critical technologies from OEMs. Make-in-India in the defence sector has remained a pipe dream while such strategic defence friendship will provide protective cover to India against potential adversaries, the dream of improving our self reliance index in critical technology would remain an unfinished agenda. There was a perception that in the recent times India was tilting towards US in the matter of defence purchases. The USA, however, has never looked at India as an investment destination in defence and pass on state of art of technology as it did for Japan, South Korea and Israel. India has invariably been buyers of US systems and platforms. The mega billion S-400 missile systems deal with Russia will possibly thwart that imbalance. India has a major lesson to draw from Russia; particularly in regard to building design capability in defence. Both Sukhoi Design Bureau and Almaz Design Bureaus have been the prime movers for state of art aircrafts like SU-30 and the missile systems. It would be in India’s long term interest, if our design and development capability is improved through collaboration with their design houses; instead of merely buying major platform and weapon systems from them. Apart from getting over “Pakistan fixation”, Indian Phauji-babus also need to get over their anti-Nehru fixations. If one gets Malaria – the root cause is a mosquito bite (more recent). So , every security problem that India has had post- independence is conveniently blamed on Nehru , while forgetting his positives. Washington owned more that 200 slaves. They have not abolished his name from the text books today . Nehru was a man of substance. Not a selfie-king bluffmaster. The GDP rate during Nehru’s time, re-calculate it using the method used by “feku” today . you will find it much higher – nay , sparkling …. but would it have been real GDP rate? It is equally tragic that due to a lack of proper synergy between the two countries the most ambitious design development programme for building a Fifth Generation Stealth Aircraft has also been put under wraps. Instead, the dubious nature of the Rafale aircraft purchase is being debated. the above are Key words. New-Russia is an example of state Capitalism. They are getting paid for it, its not freebies they are giving us.